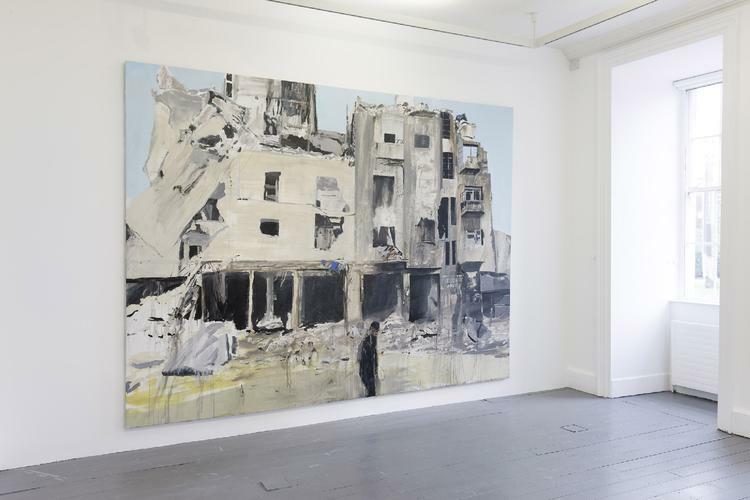 This new exhibition brings together Brian Maguire’s latest body of work, resulting from a visit to Syria in 2017. 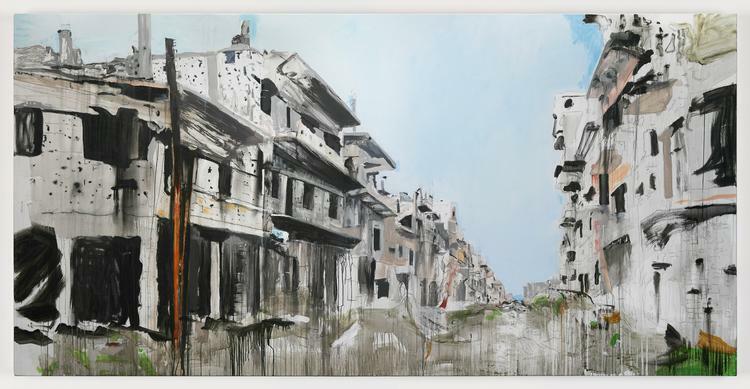 It is shown in the context of earlier work made in response to the refugee crises hitting Europe’s shores as a result of the Syrian conflict. 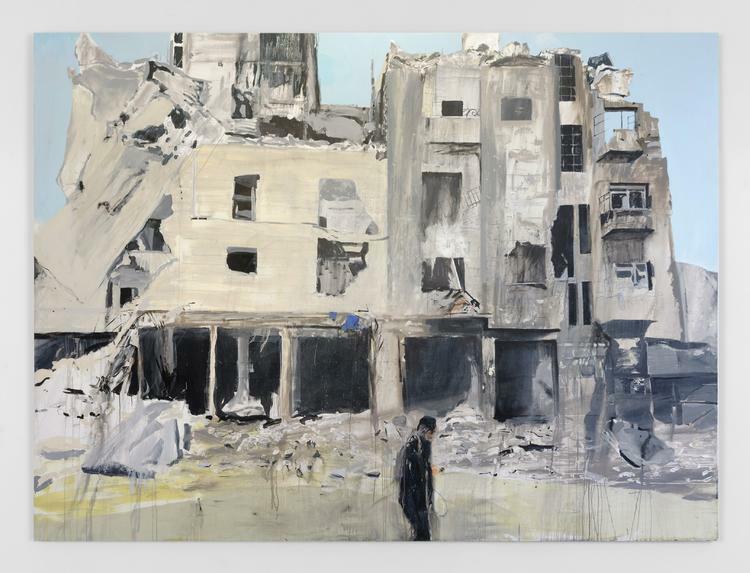 The Aleppo Paintings document the ruined buildings of the city, offering a visceral and stark insight into the physical consequences of war and the international arms trade that fuels all conflict. 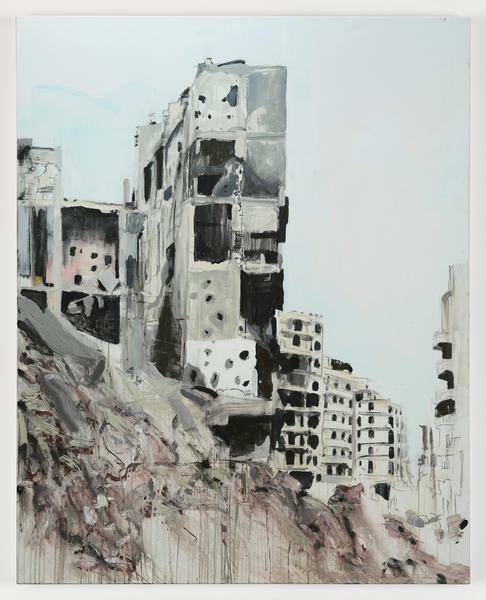 As with all his work, Maguire’s work is informed by first-hand experience of the city of Aleppo and its people and is fuelled by a desire to see beyond the news coverage to gain a personal insight into the reality of the situation. 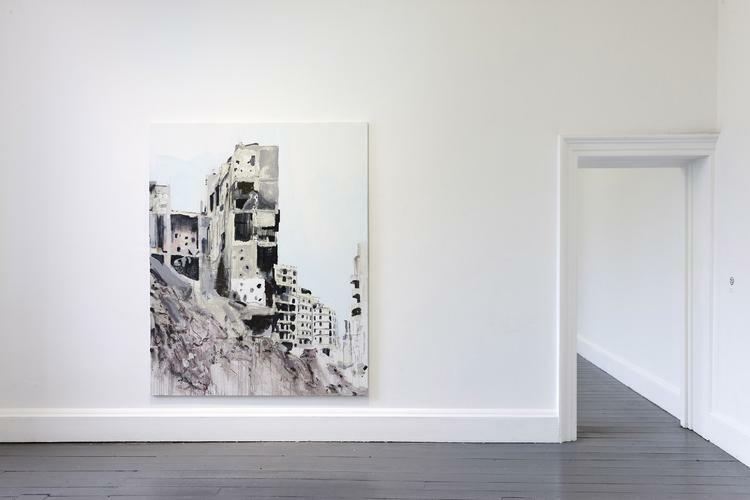 Maguire’s paintings bear stark testament to the human suffering implicit in his depiction of the building fragments left after the bombardment, underlining the need for justice. 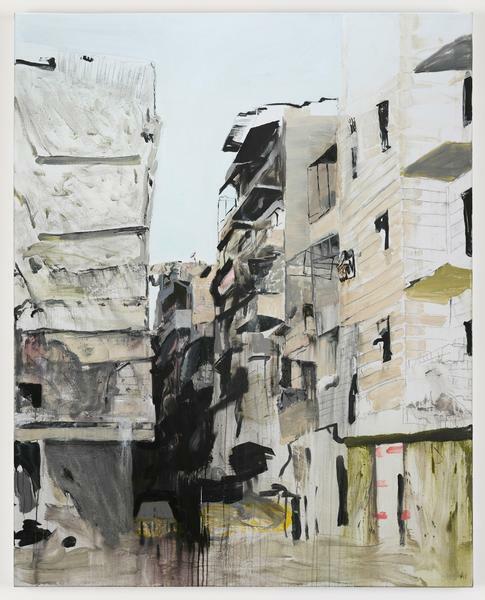 Brian Maguire’s work emerges from social and political situations and a deep engagement with a particular place or group of people. 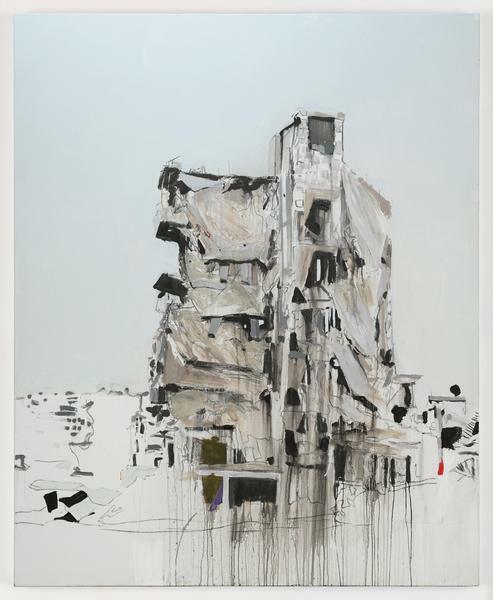 He approaches painting as a gesture of solidarity and has undertaken projects in prisons, women’s shelters and psychiatric institutions. Maguire has shown extensively in Europe and the US, also participating in shows in Korea, China and Japan. Recent solo exhibitions include Over Our Heads the Hollow Seas Closed Up, Kerlin Gallery, Dublin (2016), J’accuse, The Void, Derry (2015–2016); Fergus McCaffrey, New York (2015); X Espacio de Arte, Mexico City (2013); European Parliament, Brussels (2012) and Cultuurcentrum de Werft, Geel, Belgium (2012). 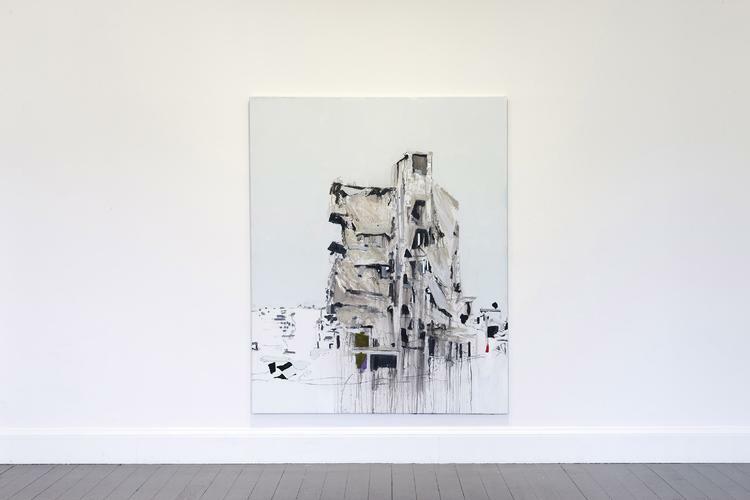 In 2000, a major retrospective toured from Dublin City Gallery, The Hugh Lane to Crawford Art Gallery, Cork and the Contemporary Art Museum, Houston. 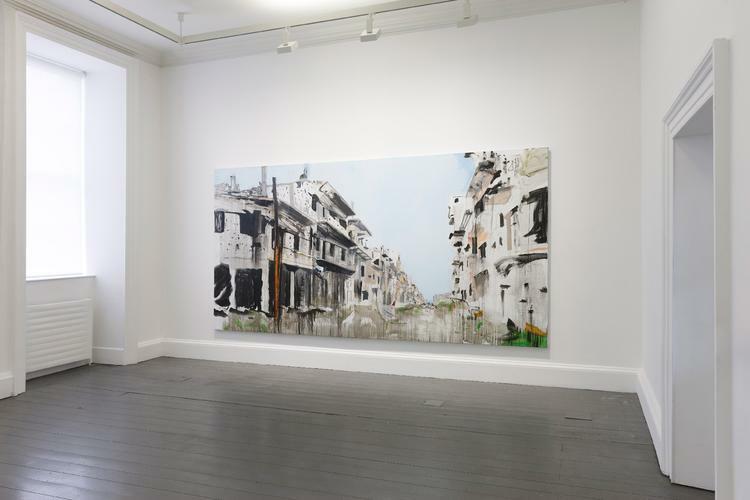 Group exhibitions and biennales include IMMA - Irish Museum of Modern Art; WIELS, Brussels; VISUAL, Carlow; Dublin City Gallery The Hugh Lane; RAM Foundation, Rotterdam; National Gallery of Contemporary Art, Korea; Hokkaido Museum of Modern Art, Japan; Dublin Contemporary (2011); the Beijing Biennale (2008) and the 24th Sâo Paolo Bienal (1998). 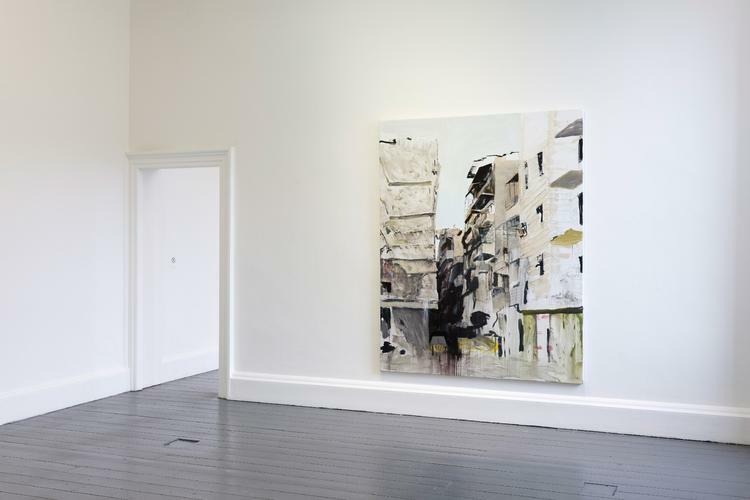 Maguire’s work is held in numerous public and private collections including the Museum of Fine Art Houston, USA; IMMA; Dublin City Gallery The Hugh Lane; Trinity College Dublin; Alvar Aalto Museum, Finland; Gemeentemuseum, Den Hague, Netherlands; Wolverhampton Art Gallery, UK; and Crawford Art Gallery, Cork. 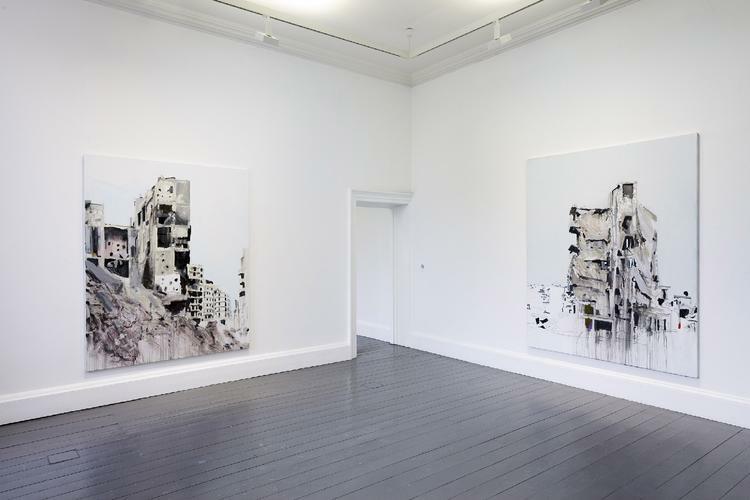 Artist Brian Maguire discusses his current IMMA exhibition with Sarah Glennie, Director, NCAD. 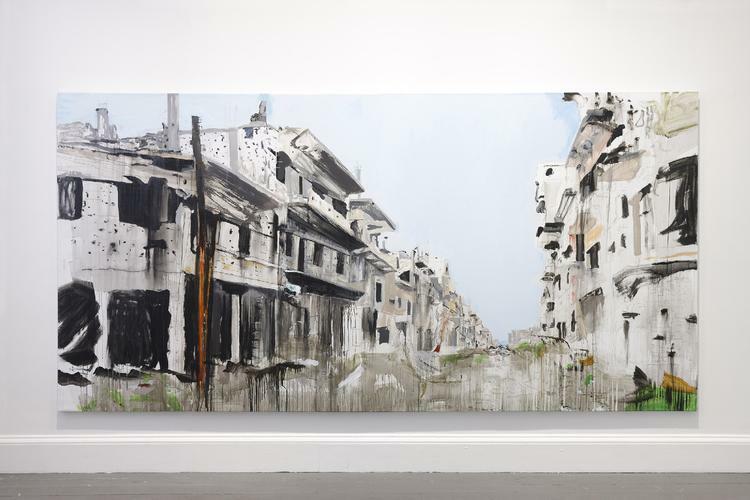 This talk explores Maguire’s research and recent visits to Syria, as it relates to the artist's ongoing interests in social and political situations, and approaching painting as a gesture of solidarity. This talk will be followed by the exhibition opening. Tickets are free but limited. Advance Booking required. Join Assistant Curator Ben Stafford for an informal and insightful walk-through of the exhibition. This is a free tour, and no pre-booking is required, just drop-in on the day.